If Galileo told you the world is round would you believe him? The Flat Earth Society still doesn’t believe in a spherical world. 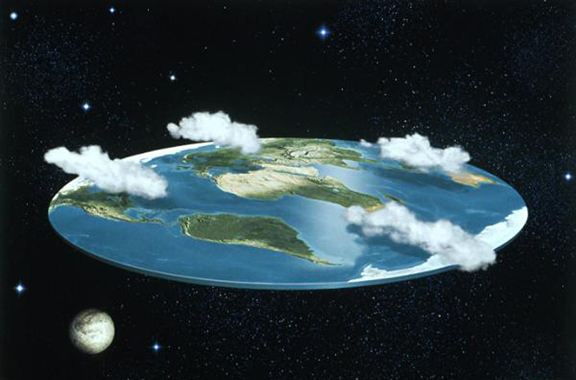 No matter how much proof you find supporting the idea of a round world, for instance satellite photos and spacewalks, nothing bends their beliefs or their “facts”. Even though they are mocked and ridiculed this group keeps attracting new members. Now long after the Flat Earther’s had spewed their alternative science, a “new” idea is enticing a following of unconventional zealots. Behold the Anti-Vaccers, the millennial’s artificially intelligenced science substitute! Like the flat earthers, no amount of scientific evidence will dissuade their vaccine induced fears. But unlike the flat earthers, anti-vaccers (AV) cannot be described as quaint crackpots, who are mildly entertaining but relatively harmless; the AV crowds refusal to participate in medical programs is causing the resurrection of diseases that I thought were dead and buried. All of a sudden, because of these rejects from a science academy, my children are at a risk of being exposed to things like measles, smallpox or even polio. All because of one discredited 1998 English study. I guess the only solution would be to find a place like Australia to send them all (AV) to, so they can follow their own rules. It’s too bad that I don’t believe in the flat earth concept, because the other side of the world might be a good place for them. This entry was posted in Blog, Foolish thoughts and tagged anti-vaccers, Humor, quacks, religion, sadness, science, vaccine. Bookmark the permalink. Totally agree. I actually responded to a Facebook post yesterday on this very topic. It was humorous but got the point across nonetheless. Irrational, hysterical, head-in-the-sand motivations with real, dire consequences!